Betty Jean Powers, 80, passed away peacefully on Monday, December 3, 2018 at her home, surrounded by her family. She was born in Tell City, Indiana to the late Lawrence and Opal (Robbins) Mattingly. She is also preceded in death by her husband, David E. Powers; her children, David Michael “Mike” Powers and Jessica Russell. 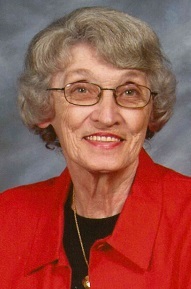 Betty was a 1956 graduate of Cannelton High School and earned an Associate Degree from Lockyear’s Business College. She began her career as a medical receptionist with Dr. Hargis Bush in Cannelton, until his retirement and later worked for Dr. Gene Ress from 1981-2017, when she retired. Betty was a member of St. Michael Catholic Church and St. Ann’s Society, Harry G. Myers American Legion Auxiliary, was a former member of Mrs. Jaycees and served as Cannelton City Clerk-Treasurer. She enjoyed playing bridge with her card club, reading and crocheting. Surviving are her children, Brett Powers (Paula Hubbard Adkins), Cannelton, Shari Everly (Jeff), Tell City and Jon Powers (Melissa), Westerville, OH; sisters, Mary Nell Huebschman (Jack), Cannelton and Deborah Frisch, Marietta, GA; grandchildren, Brooke Lane (Stephen), Sarah Lawalin (Cody), Damon Powers, Logan Everly (Hannah), Leslie Everly, Matthew Powers, Zachary Zuelly (Sara) and Riece Russell; great grandchildren, Harper Lane, Anistyn Russell and William Henry Neil Everly, due in January; several nieces and nephews; and her dog, Lucky. A Mass of Christian Burial will be held at 10:00 AM CST Thursday, December 6, 2018 at St. Michael Catholic Church, Cannelton. Rev. Sengole Thomas G. will officiate. Burial will be in St. Michael Cemetery. Visitation will be Wednesday from 2:00-7:00 PM and Thursday 8:00-9:30 AM at Huber Funeral Home, Cannelton Chapel. Memorial contributions may be made to St. Michael Catholic Church, c/o 824 Jefferson Street, Tell City, IN 47586 or Perry County Animal Shelter, P.O. Box 4, Tell City, IN 47586.